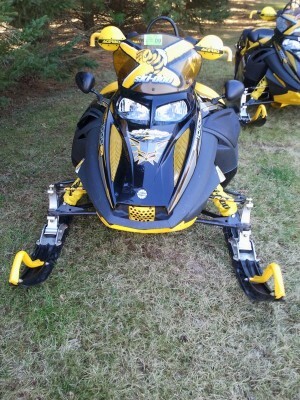 2005 Skidoo Mach z snowmobile. Excellent condition. You will not be disappointed with this sled. New motor with less then 500 miles on it. Lots of Yellow extras. Rip saw track with approx. 200 Stainless Steel Studs. Very fast sled. 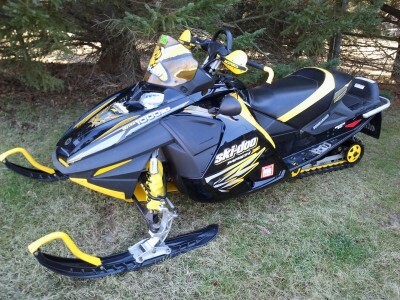 Exhaust Gas Temperature gauges worth $500.00 included in the sale of this snowmobile. $5500.00 firm. Always trailered in an enclosed trailer, and always stored inside. Call or text me with questions.